Acute (Internal) Medicine is the speciality which provides assessment and management for adult patients with medical conditions when they are first admitted to hospital. It differs from other medical specialties in that it is not based on a body system, disease or patient characteristic (such as age). It also differentiates itself from General (Internal) Medicine in that it focuses on the immediate and specialist management of adult patients who require urgent or emergency care. The idea was conceived in 1999 – but has grown rapidly since then and the AIM training pathway has been available since 2009. There are now over 450 consultants specialising in Acute Medicine across the UK and over 225 hospitals now have an Acute Medical Unit (AMU). Acute Medicine has subsequently spread to beyond the UK, to the likes of the Republic of Ireland, the Netherlands, Australia, Singapore and Malaysia. More information can be found on the The Society for Acute Medicine (SAM) website and specifically their annually Benchmarking Audit (SAMBA) reports. 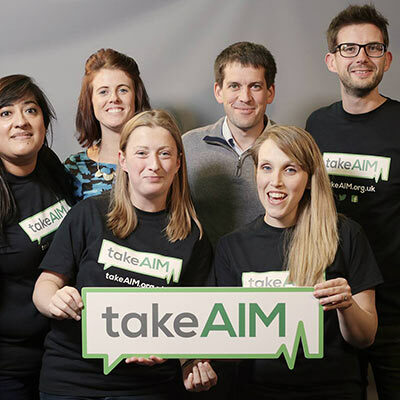 SAM formed in 2000 and drove the concept of Acute Medicine forward. Due to this, Acute Internal Medicine is now recognised as a specilaty in its own right and hundreds of specialist registrars are training in the approved curriculum. The Society plays a pivotal role in the development of Acute Medicine and is represented on many national committees. SAM has apporximately 1200 members including doctors, nurses, pharmacists and other key members of the acute medical team. The importance of the multidisciplinary team is recognised on the Acute Medical Unit and that is why Allied Health Professionals are represented on the SAM Council. Acute Medicine has embedded itself across the country, and is vital to the smooth running of each hospital. SAM have set key Clinical Quality Indicators for Acute Medical Units to implement as standard and is audited on an annual basis. More information can be found on their website. The career prospects for AIM are almost unrivalled. The 2015 census conducted by the RCP London shows Acute Medicine having the largest increase in consultant posts, with a dramatic 33% expansion. Over the last 12 years we have seen significant changes in the way acute care is delivered and in the team that delivers it. The presence of Acute Physicians in hospitals with unscheduled care has been shown to reduce mortality risk and the length of stay while in hospital, without increasing readmission rates.